Like the fumes from those toxic waste barrels, the winds are surely changing for our heroes in this week's episode of The Shannara Chronicles, entitled 'Reaper.' As the approaching dangers becomes more real, everyone is taking their own path to ensure that the world doesn't end in fire and death. Our young trio of Eretria, Wil, and Amberle have a difficult but clear goal ahead of them, which is getting to Safehold at all costs. With any world-saving quest of this scale, there are sure to be dangers lurking around every corner. One of those dangers happened to be Eretria's adopted father Cephelo, who may turn out to be a valuable ally down the road. Sure, he's not the most trustworthy person in the world, but when it comes to survival, the rover leader just may be king of the mountain. The Reaper was a terrifying spectacle that we're sure to see again. It's hard to imagine a little fire and radiation poisoning killing something as monstrous as that. Its design was unique, especially in an entertainment landscape where we've seen every possibly monster creation imaginable. The fire beneath its breastplate seemed to glow whenever it exerted itself, like blood pumping into a heart. 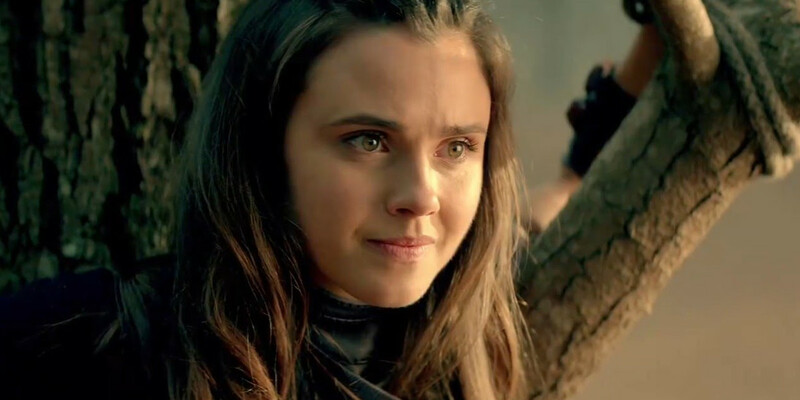 Watching Wil and Cephelo team up was fun, but let's not forget that Cephelo tried to assault Amberle a few scenes back. For now, he's a necessary evil who wants to live just as much as everyone else. Wil's magical growth appears to be at a standstill without the help of Allanon. "Short-tips" is going to have to learn quickly how to control his power if he's going to have any success of fighting off the demon hordes. With Wil off on his adventure, Allanon has found a new student in the form of the seer Bandon. The talented young man might be the most powerful person on Earth if he can learn to harness his abilities. The former druid Dagda Mor seems to understand the boy's potential and locks him away in some kind of mental prison. It's unclear what happens to Bandon after he passes out, but hopefully Allanon can pull him out before it's too late. After all, this being a "teen drama,' Bandon has a date to get to with the lovely Catania. It was nice to see Ander taking charge this week with his decision to align with the gnome who murdered his own brother. Ander is more level headed than his older brother and realizes that his people can't just sit around waiting for Amberle's return. With Commander Tilton at his side, perhaps Ander can rekindle the relationship he once had with the beautiful warrior. Nothing says "I want you back" more than traveling to the edge of the world together to battle demons. Even the gnome Slanter seemed to pick up on the awkwardness when Arion kissed Tilton. We're at the halfway point of this first season and The Shannara Chronicles continues to deliver an exciting adventure story that will hopefully keep loyal fans hungry for more. It's still not a great series, with the obvious love-triangles and less than stellar dialogue, but it sure is a lot of fun, and in the end, that's what matters. Stay tuned to see what happens next.